"Legacy was very helpful with all questions and concerns. The team that came out worked hard and in a timely manner. The quoted price was very competitive." “Building a Tradition of Excellence” is much more than just a company slogan for Legacy Services Corporation. Our quality standards represent the level of service we’re achieving on an everyday basis. 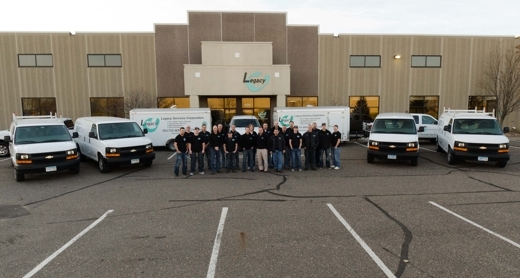 From management staff to our highly trained technicians, Legacy is dedicated to providing our clients with safe, professional and cost effective solutions to their construction, environmental and/or insurance loss repair needs.